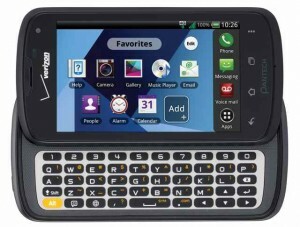 Verizon Wireless and Pantech today announced the 4G LTE-powered Pantech Marauder(TM) is coming exclusively to America's largest 4G LTE network starting Aug. 2. The Pantech Marauder will be available online at www.verizonwireless.com starting Aug. 2 for $49.99 after a $50 mail-in rebate with a new two-year customer agreement. New analysis from Frost & Sullivan, High Growth Opportunity: LTE Test Equipment Market, finds that the global LTE test equipment market generated revenues of $760.8 million in 2011 and is estimated to reach $2,845.6 million in 2018. MTS to launch its LTE network Sep.1, 2012, replacing its existing WiMAX service in the process. In an unconfirmed report that cited company representative Dmitry Solodovnikov, Vedomosti suggested that the in-deployment LTE network will have a far larger scope than its WiMAX predecessor, with some 2,000 base transceiver stations (BTS) expected to be constructed by end-2012. Optus has initiated a trial of TD-LTE services in western Sydney and in its headquarters, using Nokia Siemens Networks solution and 3 * 20 MHz spectrum (separated) in band 40 (where it has 98 MHz) demonstrating throughput up to 240 Mbps. 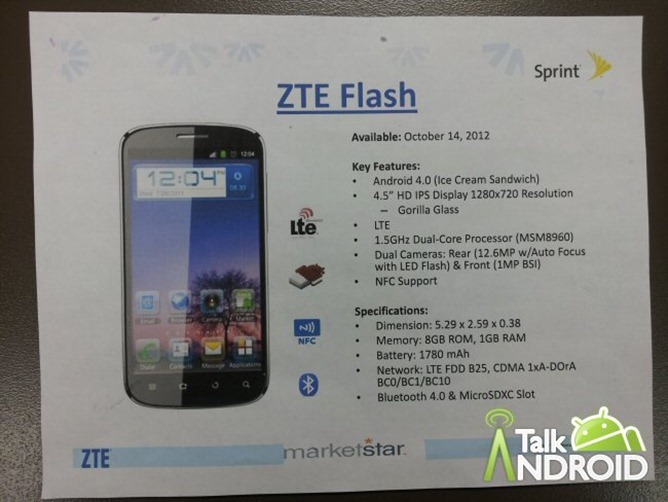 It plan to launch commercial TD-LTE services in 2013. Optus just launched FDD-LTE services operating in the 1800 MHz band (2*10 MHz). China's government official says China Mobile to grow it's TD-LTE network to reach 350 000 BS before the end of 2014. That means about 365*2*24*60 ~ about 1 million minuts, or 3 minut to deploy each of BS. For two years in row. Sequans Communications. "They're not making any money"
"The majority of their LTE chips won't come to market for another few quarters". "q3 is do-or-die for them". "they may indeed need to be absorbed by a larger entity in the semiconductor space if orders don't begin to pick up"
"At the end of June, Sequans began volume shipments of all three chips belonging to their second generation LTE platform". "They now have more than a dozen manufacturers as customers. Each customer is planning to introduce multiple devices which means at least thirty data devices with their second generation LTE devices should be coming to market". "They have the most advanced LTE semiconductors on the market"
While CS Fallback is operating as expected in routing voice calls to the 3G network - there are some short comings to the approach. When a subscriber on the LTE network makes or receives a voice call, the network redirects the device to the 3G network, where the voice call is attempted. Upon completion of the voice call and any active data session, the device must re-select the LTE network. An unintended consequence is that if an LTE subscriber is using an application (e.g. Facebook) on the 4G network at the time of the call, both the voice and data session are moved back to the 3G network. Until the data session is completed or the device is reset, the subscriber will camp on the 3G network. Subscribers may be \'disappointed by their supposed "˜4G' service which is actually being delivered through the operator's legacy 3G infrastructure. The 4G network assets may be underutilised as more subscribers than expected will fallback and stay on the 3G network. While the migration to 4G is meant to alleviate capacity constraints on 3G networks, 4G subscribers camping on the network might cause blocks and access failures for subscribers with only 3G user equipment. SK Telecom took team of journalists and photographers to the remote island of Baekyeong (near border between South and North Korea). There they saw a number of locals test voice and video calls on LTE-enabled handsets provided by the carrier. And the quality of communication seemed to range between solid and exceptional! 4.82"x2.40"x0.46" (122x61x12 mm), 4.66 ounces (132 g). 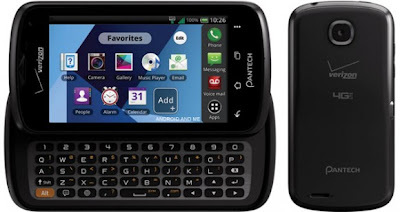 New Pantech Star Q, complete with a slide-out QWERTY keyboard. Telecoms.com LTE North America Awards 2012- Now Open for Entries! The most glamorous night in the North America LTE industry calendar is back for its 3rd year! Telecoms.com LTE North America Awards 2012, taking place on the 14th November at the Fairmont Hotel in Dallas, will celebrate the triumphs and innovations of North America's LTE marketplace. The past year has seen an influx of LTE network deployments in the North American region, placing it at the forefront of the LTE mobile revolution. We are delighted to introduce two brand new categories this year; 'Best LTE Backhauling Solution' and 'Most Innovative LTE Application/Service' to reflect the movements made in the LTE industry. With a total of 10 different LTE focused categories, the awards provide the perfect opportunity to showcase your involvement and gain industry applause! OJSC "Mobile TeleSystems» (NYSE: MBT) announces the launch of sales kits "MTS Connect" with support 4G/LTE and the beginning of the transfer of subscribers "Comstar WiMAX" from August 7, 2012. In retail stores network in Moscow and Moscow region will be available 4G-modems "MTS Connect" (Huawei E392), which also provide high speed internet access in 2G and 3G. The cost of the "MTS Connect" with a modem 4G will be announced on the first day of sales. When buying a package of "MTS Connect" mobile Internet users during a month will have access to the Internet through a special option "MTS Connect-4." Internet access to LTE network will be possible from the September 1, 2012. Until this day, 2G/3G data services will be provided. The package "MTS Connect" modem included 4G MTS, SIM-card with the tariff plan "MTS Connect-4" and one month of using the new option under this tariff. IDC announced Internet 4G service speed increase based on LTE 800 network. Just this summer, when you buying a 4G-modem IDC gives free connection* to 4G LTE and up to 9 months paid mobile Internet. Subscribe and get you a really fast internet connection without wires. At the time of free service on the selected subscriber limited edition package unencumbered traffic included in the package does not pass to the next month. Just this summer, for each subscriber 4G LTE - Network and IP-TV with no monthly fee! Plug and download! LTE Tests starts from 21 April 2012. Now is commercial phase to begin. DL up to 60 Mbit/s. Operators in the USA, South Korea and Japan have established themselves as the early leaders in LTE, jointly accounting for almost nine in every ten of the world’s LTE connections in Q2 2012, according to Wireless Intelligence. It is estimated that global LTE connections topped 27 million at the end of Q2, up from around 10 million at the end of 2011; US operators accounted for 47 percent of the total, followed by South Korea (27 percent) and Japan (13 percent). While these three markets dominate connection volumes to date, LTE networks are being launched in an increasing number of countries across the world. Wireless Intelligence estimates that the number of global markets with live LTE networks has grown from 30 at the end of 2011 to over 40 six months later, with LTE launching for the first time in H1 2012 in major markets such as India and Russia. The world’s largest LTE operator is currently the US market leader, Verizon Wireless. The US number-one first launched its next-generation network at the end of 2010 and it is now live in 337 regional markets, covering nearly 75 percent of the US population (233 million POPs). Last week, Verizon announced that it had sold 3.2 million LTE devices in Q2, bringing its cumulative total past 10 million, and representing over 12 percent of retail postpaid connections. Its major rivals are playing catch-up. AT&T launched LTE in September last year and is currently live in 47 markets, with plans to complete rollout by the end of next year. It claims its 4G-branded network (HSPA+/LTE) covers 260 million of the population; it had a third of its postpaid smartphone subscribers (2.5 million) using its '4G' devices by Q2. Number-three US operator Sprint switched on its first LTE networks in 15 markets earlier this month, while several US regional operators have also launched, including the two largest, MetroPCS and Leap Wireless. Meanwhile, the South Korean market leader SK Telecom announced this week that it had surpassed 4 million LTE subscribers, adding the last million in just 44 days (it hit the 3 million mark on 6 June), with an average of 41,000 LTE users signing up per day in July. It is targeting 7 million in total by year-end. The operator also claims to be the first in the world to launch multi-carrier LTE, planning to roll-out the technology across Seoul and six other metropolitan cities this year. SK’s rivals are not far behind. According to local press reports this week, LG Uplus – which launched LTE at the same time as SK (July 2011) – has close to 3 million LTE subscribers, while KT has 1.4 million following launch in January this year. Japan’s largest operator, NTT Docomo, launched LTE in December 2010 and also this week announced it had hit the 4 million milestone. The Xi-branded network passed the 4 million subscriber mark on 22 July, around one and a half months after reaching 3 million. The operator attributed the accelerating growth to the launch of a fresh range of compatible smartphones earlier in the year. Docomo’s first domestic LTE competition came via SoftBank Mobile, which launched services in February this year based on AXGP, a similar technology to TD-LTE, and had 132K subs on the network by the end of June. EMOBILE launched LTE in March, while second-placed Japanese operator KDDI plans to do so before year-end. I assume it is too optimistic evaluation. 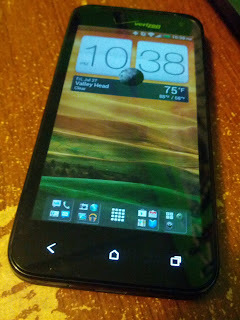 Sprint (NYSE: S), the only national wireless carrier offering truly unlimited data for all phones while on the Sprint network1, and Motorola Mobility today announce Motorola PHOTON Q™ 4G LTE, the next generation of last summer’s popular Motorola PHOTON™ 4G. 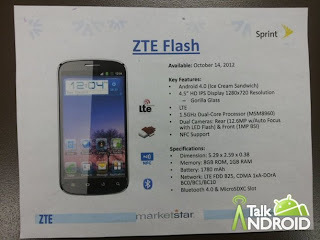 The new device will boast a five-row, PC-like QWERTY keyboard, international capabilities and a generous 4.3-inch ColorBoost™ display, as well as the ability to operate on Sprint’s new lightning-fast 4G LTE network2. Pricing and availability for Motorola PHOTON Q will be announced within the next few weeks. Rear-facing 8MP camera with 1080p video capture @30 fps and playback. Plus, those photos can be set to automatically upload to Google+™ so you don’t have to worry about accidently deleting them. Flash LED. Expected price is US$49 with 2-year contract. At the end of the second quarter, MetroPCS had about 8 percent of its subscribers on 4G LTE services, MetroPCS said. 8 percent is about 0,75 млн LTE AWS subscribers. Total number of LTE subscribers worldwide is more then 22.5 million. Where spectrum in the 1800 MHz band is unallocated, regulators need to consider its expedited release in the context of existing operator holdings and LTE plans. If unused or underutilized spectrum is identified, regulators may assess opportunities for its reclamation and reallocation, depending upon demand. Where spectrum re-farming or flexible use is not permitted in the band, such restrictions should be urgently revisited to allow for technological neutrality at 1800 MHz, and indeed in other legacy bands. How important are small cells to your network roll-out plans? Exact date - July 31. Bell Canada is among of the carriers planning to offer the LTE-version of the tablet. This is not fresh prepared White papers at all. Northstream examined status of LTE 1800 at March 2012. Still it is good to read, if you did not. Xi reached four million subscribers just one and a half month after it surpassed the three million mark on June 8, 2012. The appearence of Xi-compatible smartphone lineup in summer 2012 nearly doubled the pace of new subsriptions. LTE connections globally surpassed 22 million as for the July. Parks Associates' new report Driving 4G Adoption: Global Mobile Innovation finds Asia & Pacific will claim over 53% of all 4G/LTE subscribers by the end the year, helping push the total number of subscribers over 560 million globally by 2016. - 61% of U.S. mobile phone users have some knowledge of the term "4G", but only 20% understand the term "LTE"
Jennifer Kent, Research Analyst, Parks Associates, - "Verizon Wireless recently introduced its ShareEverything plan, which allows users to share one data quota across multiple mobile broadband devices. Share data plans should encourage subscribers to add more mobile devices, while offering unlimited text messaging mitigates the threat of third-party messaging services like Whatsapp." All four mobile operators in Netherlands (Hutchison 3 HK, Ziggo, Tele2 and KPN) provide limited LTE 2600 services from May 2012, but KPN is the first who announced massive deployment. Surprise or not, it will be one more LTE 1800 network. The competitors probably plan to choose between 800 MHz opportunity (regulator OPTA is expected to auction 800 MHz spectrum around Oct. 2012) and 1800/2600 alternatives. LTE will generate over US$1.7 bn for vendors in 2012 and 10 times more by 2017, according to the latest research 4GCounts report by Maravedis-Rethink. Despite a 61% increase in subscribers between the first and second quarters of 2012, LTE will account for less than 5% of global wireless capex this year, and mass LTE deployments are highly concentrated within a few carriers and geographies. Maravedis-Rethink found that 4G service pricing strategies worldwide are in chaos, with major implications for margins and data roaming. "Maravedis-Rethink anticipates that 560 million LTE subscribers will be active by 2017, of which 25% or 117 million will be TD-LTE users," said Cintia Garza, 4GCounts team leader. Multi-mode devices will be essential to TD-LTE uptake, and the study forecasts that by 2017, 83% of devices will be capable of supporting both TDD and FDD modes. * The Top 50 LTE operators profiled in 4GCounts reached a total LTE subscriber base of 17.6 million at the end of Q1 2012, in a global total of 20 million. * In Q1 2012, NSN and Huawei enjoyed the lion's share of awarded LTE contracts, with 28% and 24% respectively. * The WiMAX subscriber base will decline from 25 million in 2012 to 11 million by 2017. Demands for 3G/4G enabled iPads and other tablets will drop! RSL Holdings Inc. toady announces the sale of "a seminal patent portfolio consisting of assets surrounding mobile network infrastructure technologies related to 4G/LTE and WiFi". Bids will be accepting until Sept.25 2012. Ofcom announced today that it will host an auction of 4G LTE spectrum 'by the end of 2012'. Bids should be collected by early 2013. Regulator plan to collect about GBP40 billion. Operators will start rollouts at the middle of 2013, active services for the customers is expected to be available by the end of 2013. Vodafone Hutchison Australia may skip digital dividend auction. Company instead focus on rolling up LTE 1800 network. It is not decided yet, but it is possible. "We have to weigh that against the current spectrum position we have, which is actually quite rich," Morrow said. "If you look at the depth of what we have at the 1800MHz level, we're in a far better position than any of the other two carriers and there is plenty of spectrum to use for LTE." Although an LTE network in 700MHz spectrum will mean fewer base stations, Morrow said the company was prepared to install a few more base stations for 1800MHz, as it may ultimately end up being cheaper than forking out his estimate AU$900 million for the 700MHz spectrum. New CEO Bill Morrow predicts the company will be able to offer LTE download speeds up to 150 Mbps. "1800[MHz] for LTE is probably the most-deployed spectrum around the planet right now; that is going to have the best economies of scale," he said. There is downward trend in the value of this spectrum in Western Europe discovered . We can take in account 25 LTE 1800 commercial networks worldwide as well. Seems we really got a trend? Still I guess that spectrum <1 GHz is very good for rural and remote LTE solutions, so the best for the operator is combined LTE system with the smart use of two or more frequency bands. TVWS (TV White Space Spectrum) is unused and lightly-used chunks of spectrum between TV channels spanned roughly 450 MHz - 850 MHz varying from country to country. It is no big set of frequencies, but their propagation is quite good, so fewer base stations are required. LTE, LTE-A or Wi-Fi could be the air interface, few vendors already are developing TVWS solutions. Heavy reading 4G/LTE Insider prepared the report "TV White Space Spectrum for LTE: It's Free, but Not Cheap". Price: US$900. It was showcasing LTE-Advanced in Arlington Heights, Chikago (ex-Moto) labs. That is really cool result, especially if we take into account that it was used commercial hardware. Mobistar plan to deploy both LTE 1800 and LTE 2600. Belgacom/Proximus as well deploying LTE 1800 with the plan to start commercial services by the 2012 end. LTE 2600 deplyment is also possible later if more capacity will be needed. Clearwire Belgium plans to launch LTE TDD 3.5 GHz before 2012 end.